The Perceiving Arts Through Sculpture (PATS) program helps visually impaired people interact with art and illustration. 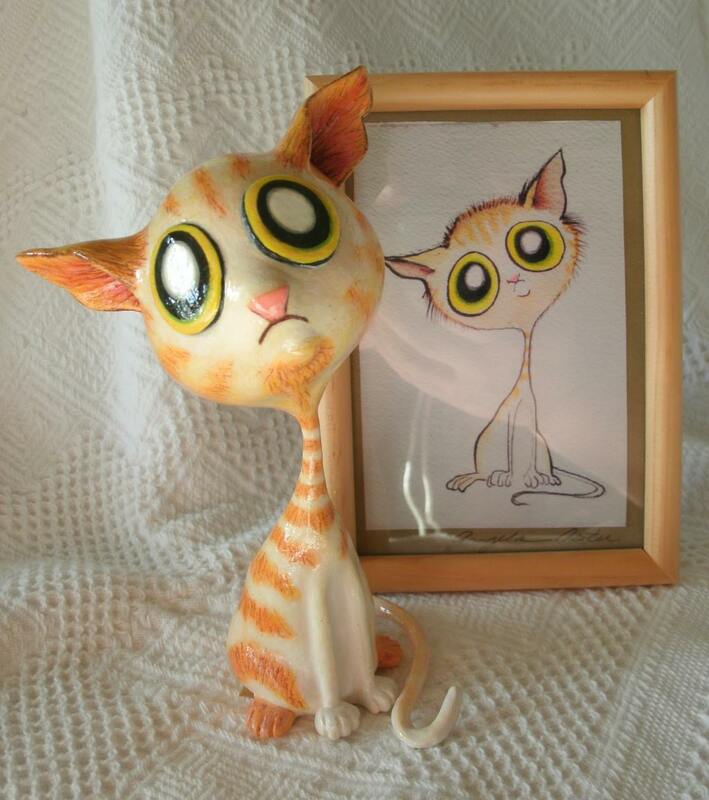 Leslie Humez, a sculptor, works with other artists to create these representations of 2D illustrations in sculpture in her studio and 3D printed prototype models at think[box]. PATS not only opens up museums to people who are visually impaired but also improves the experiences of sighted people with hands-on, interactive exhibits. Magnetic resonance imaging (MRI) creates anatomical images by detecting magnetization in the human body. Prior to being detected, the magnetization must be "excited," which is typically done by applying a powerful radio-frequency magnetic field, referred to as the RF transmit field. However, the RF transmit field is potentially harmful to certain patients, especially those with implanted devices. 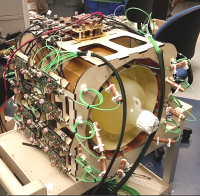 By separating the RF transmit system into an array of smaller antennas and amplifiers working in parallel, the hazard is reduced, making it possible for millions of patients with implants to benefit from high field MRI. The Read Read device assists in braille and phonics learning. Designed and built by Alex Tavares, the Read Read consists of tiles with raised braille and phonic letters that also contain a playable audio track. Each individual tile can be pressed to play the audio representation of that letter and the tiles can be positioned on a conductive grid to form words. This device allows blind or visually impaired individuals to easily and independently learn to read without the need of a personal tutor. 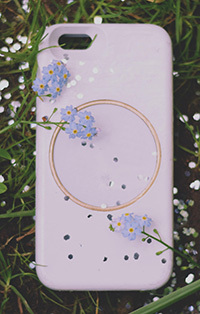 The Alula phone case conveniently stores and dispenses daily birth control pills. Missed doses can reduce birth control’s effectiveness by as much as 8% per day so Alula’s phone application and case tracks the pills and reminds the owner to take their pills at optimal times. Social robots interact and communicate with humans by following social behaviors and rules attached to their roles. 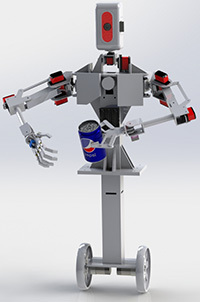 This friendly robot continues a line of research projects that study human-robot interaction. Although commercially-available social robots now exist in the markplace, this project demonstrates a more affordable solution that offloads intensive computer processes to a cloud server to achieve low-cost yet real-time interaction with humans. Graduate students Xiao Liu and Tao Liu developed these systems in Professor Kiju Lee's Distributed Intelligence and Robotics Lab (dirLAB). The AW-1 by Path Robotics is an autonomous robotic welder. It uses proprietary image processing techniques to automatically find and weld seams. There is no programming involved - the machine is capable of operating automatically with zero prior knowledge of the part to be welded. Embedded electronics in this glove allow it to function as an innovative remote control device. 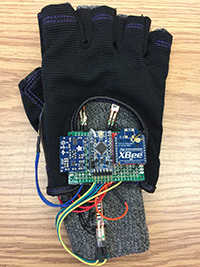 Data from flexible resistive sensors in four fingers along with a force-sensing resistor in the thumb are transmitted using an XBee radio communication module to the receiving equipment. To test this technology, the glove was used to remotely control a small research robot in Professor Kiju Lee's Distributed Intelligence & Robotics Laboratory. 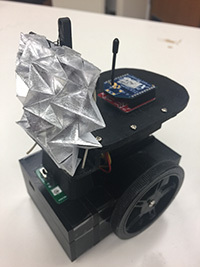 This radio signal tracking robot incorporates a collapsing planar antenna constructed from a laminate of aluminum foil and paper. When antenna is deployed, the robot will rotate and continuously measure the signal strength of a nearby radio transmitter. When the angular direction of the maximum signal strength is found, the robot will move in that direction a fixed amount and iterate this process to eventually locate the source of the transmitter. Graduate student Chuanqi Zheng built this research robot in Professor Kiju Lee's Distributed Intelligence & Robotics Laboratory. 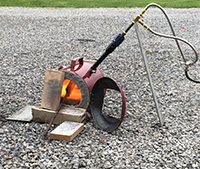 A team of two undergraduate students, Tom Milyo and Ian Finlay, built this propane-fired steel forge capable of reaching 2000 degrees Fahrenheit. The forge was constructed from a compressed air tank lined with a ceramic wool insulation material called kaowool that was coated in a refractory cement called ITC-100 to protect the wool from structural damage during firing. MothBot is a biologically-inspired research project to create a robot that mimics the Manduca Sexta hawkmoth. 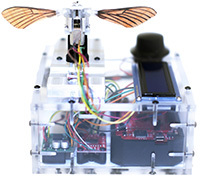 Flapping Wing Micro Air Vehicles (FWMAV) are a relatively new branch of robotics currently being explored in the CWRU Biologically Inspired Robotics laboratory. The test stand includes a laser-cut acrylic enclosure to house a microcontroller and control surfaces in addition to a 100-gram micro load cell that measures the lift force generated by the flapping of the polymer wings.